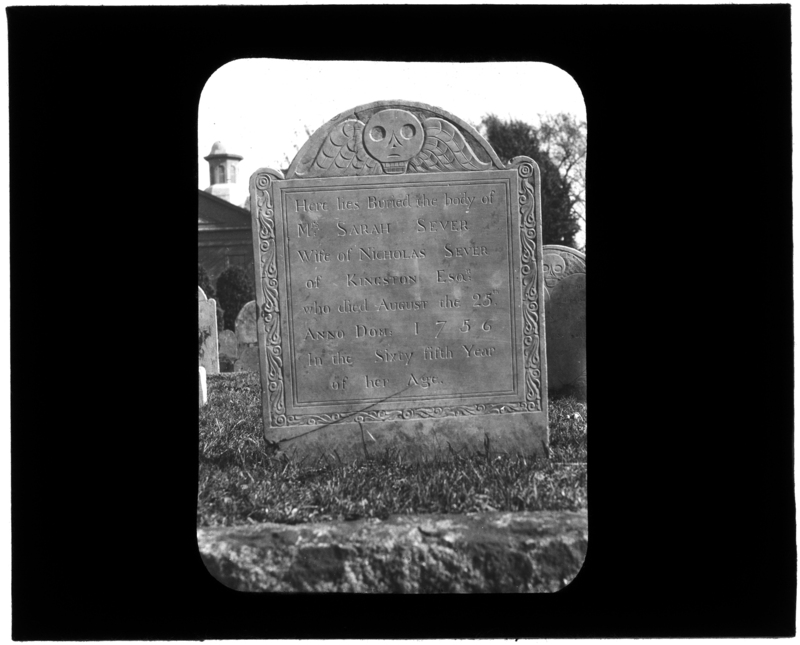 For the entire month of October, the lobby display case will feature a selection of photographs of eighteenth- and nineteenth-century Kingston gravestones, but rather than focusing on those interred in the Old Burying Ground, this exhibit will examine the men who carved these markers. Stop by to check it out! 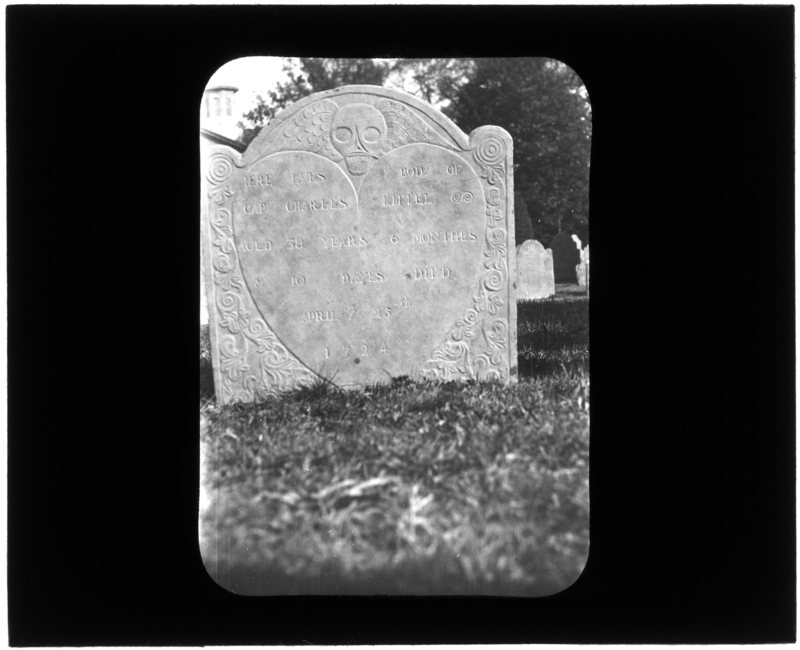 Source: Image from the Emily Fuller Drew Collection (MC16). There’s a new exhibit in the Local History Room’s lobby display case featuring photos, artifacts, and ephemera from a selection of notable Kingston businesses, including H. K. Keith & Company Store, Toabe’s Hardware, Tura’s Pharmacy, Ye Kyng’s Towne Sweetes, and the stores of Myrick’s Block. It will be up until the end of August. Stop by and check it out! 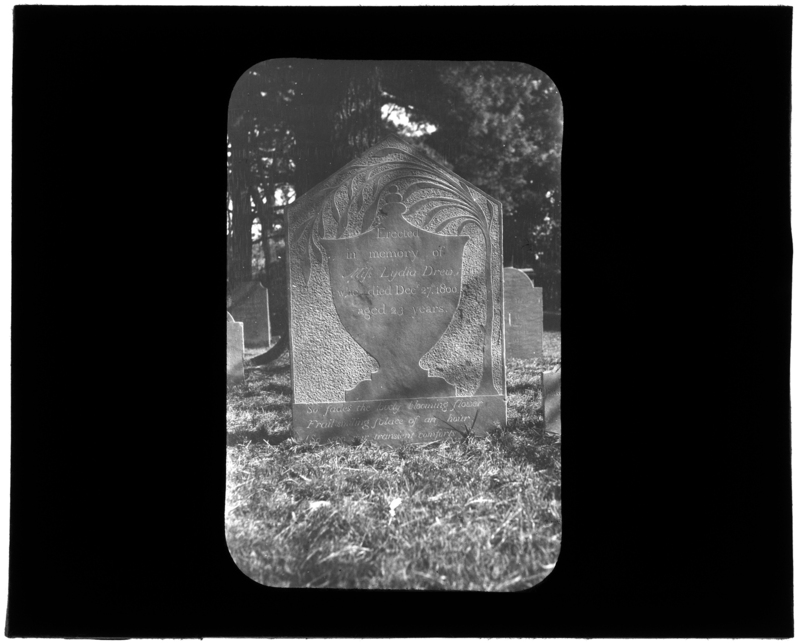 Source: Image from Jones River Village Historical Society Lantern Slides IC4. New Exhibit: The Colossal Elephant! 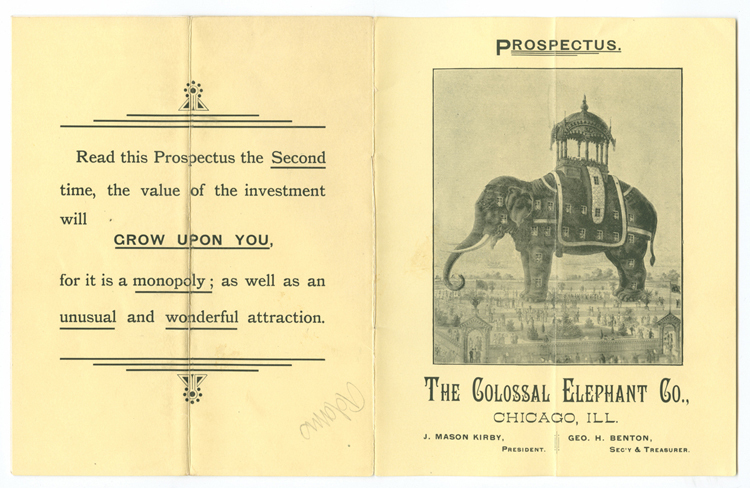 We have a new exhibit up in the Local History Room’s lobby display case featuring well-known Kingston resident and capitalist, Horatio Adams, and an exciting prospectus he received for the construction of “The Colossal Elephant” at the Chicago World’s Fair in 1893. This investment opportunity was featured back in 2011 on the blog, but something so unusual and interesting deserves to be shared again. Stop by to check it out for yourself! New exhibit: Summertime, and vacation! First, the new exhibit in the LHR’s lobby display case features selected images of Kingston summers gone by. 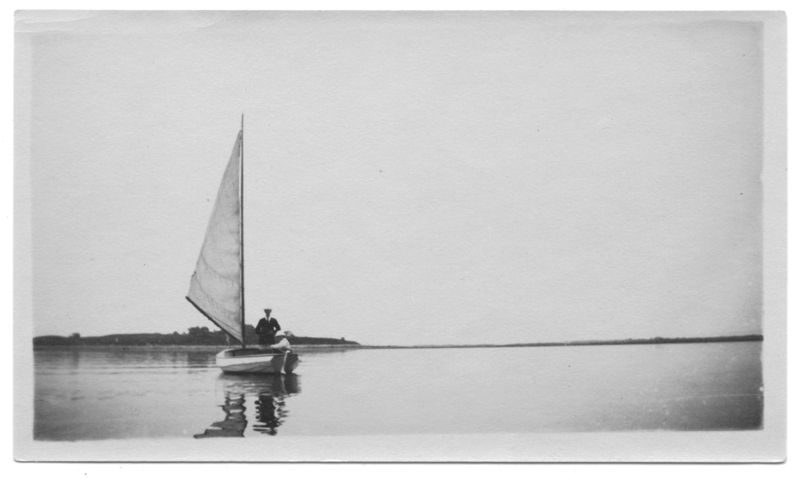 Just as we do today, past Kingston residents and visitors enjoyed the warmth of the brief New England summers. Stop by and have a look! 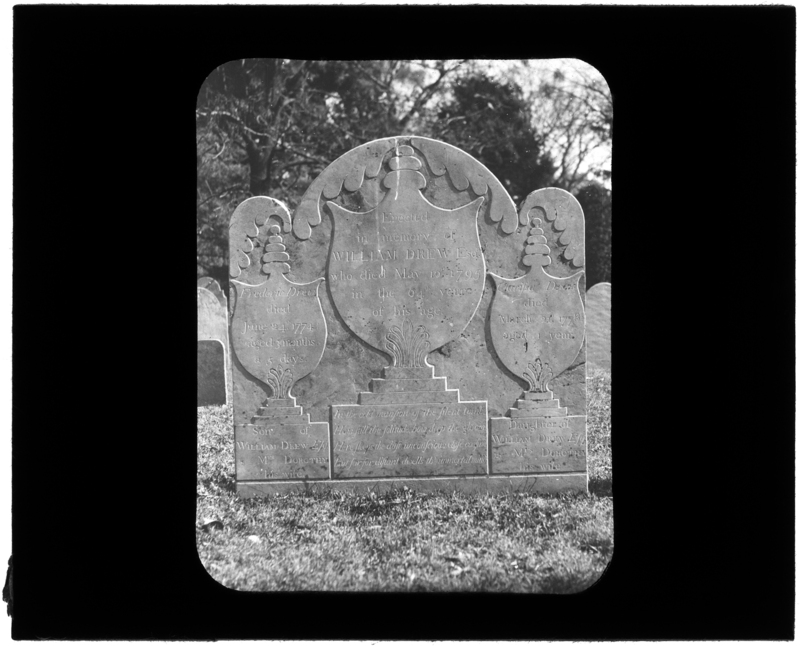 Second, the Local History Room will be closed for vacation July 15 to July 29. You can email questions to kilhr@kingstonpubliclibrary.org, or leave a voicemail at 781-585-0517 x123 (be sure to leave all of your contact information). 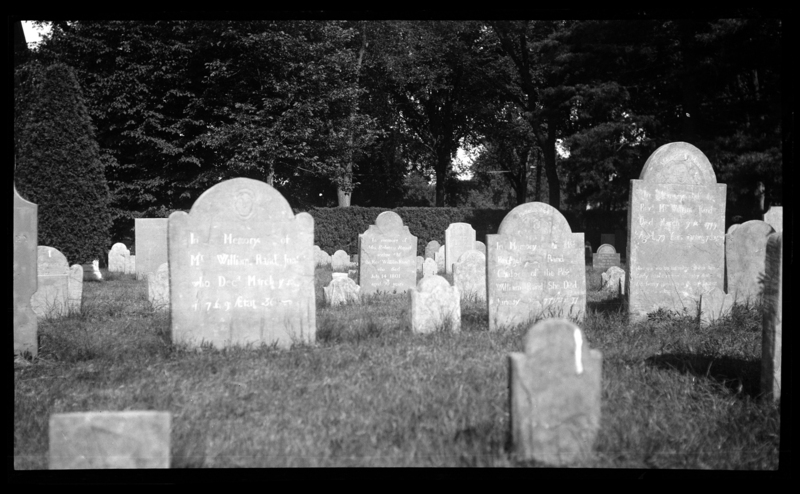 Kingston has grave stones that predate the town. Photos of some of them are in the display case this month. There’s a new exhibit in the Local History case in the Library lobby. 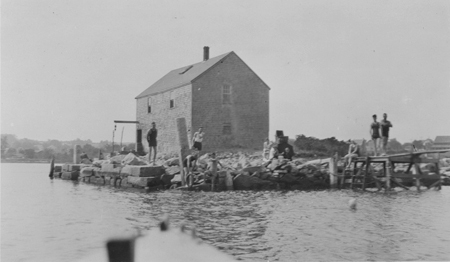 Stop by to see photos of summers past in Kingston: ice cream, beaches, picnics and more. 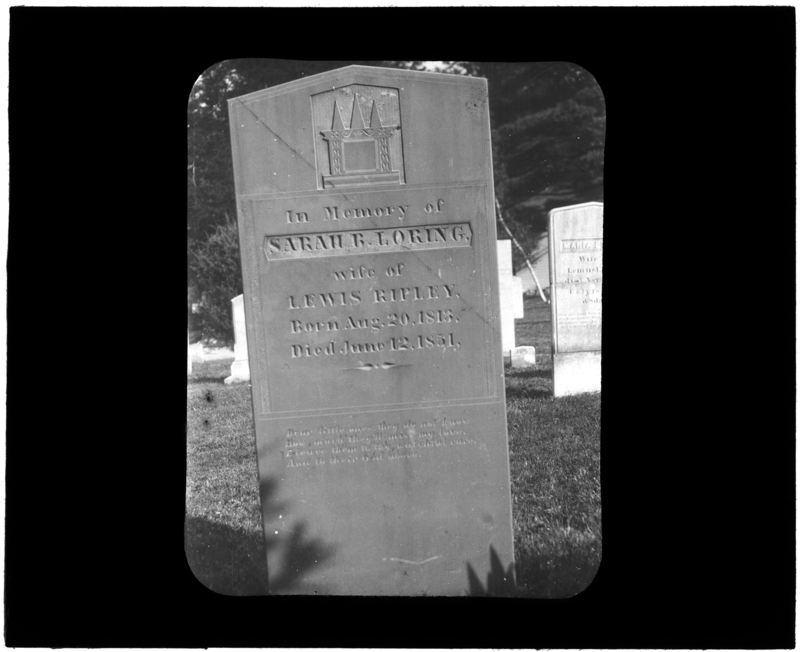 Decoration Day, which we now know as Memorial Day, started in 1868. 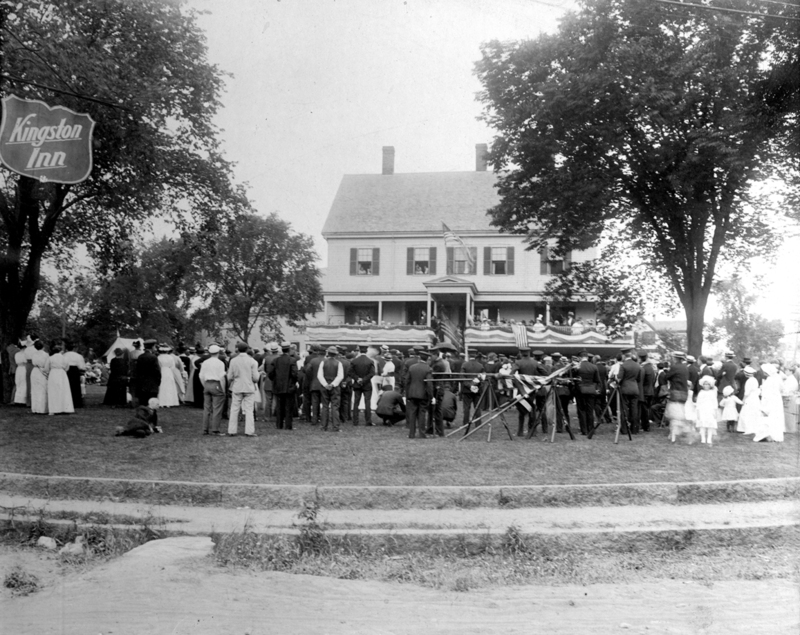 Kingston’s first documented observance was 1879, with formal Town funding starting in 1881. 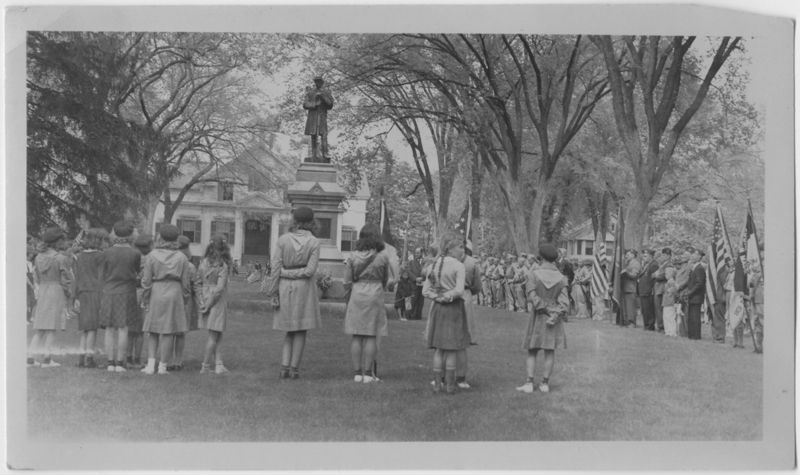 Stop by the Library to see photographs of Memorial Day parades dating back over a century. We’ve got a new exhibit in the Library lobby. Stop by and take a look. 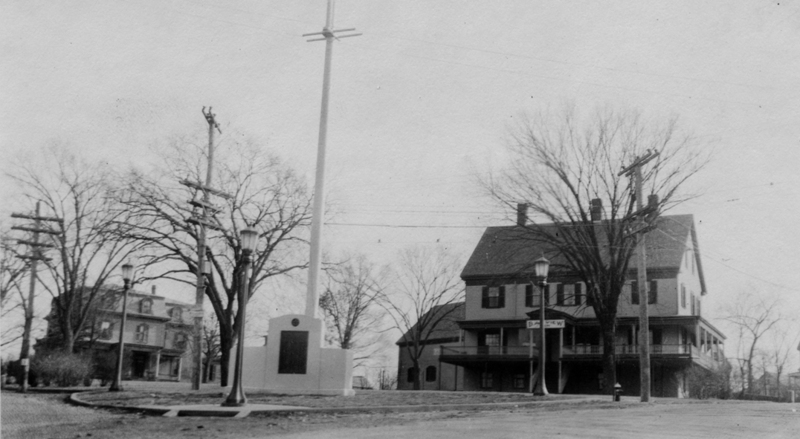 The spot where the Kingston Public Library stands was once the site of Kingston’s first hotel, built in 1854, just nine years after the Old Colony Railroad first chugged through town. Former boarding house proprietor Josiah Cushman bought the land from Spencer Cushman, and immediately borrowed $1500 from the seller to finance the building. 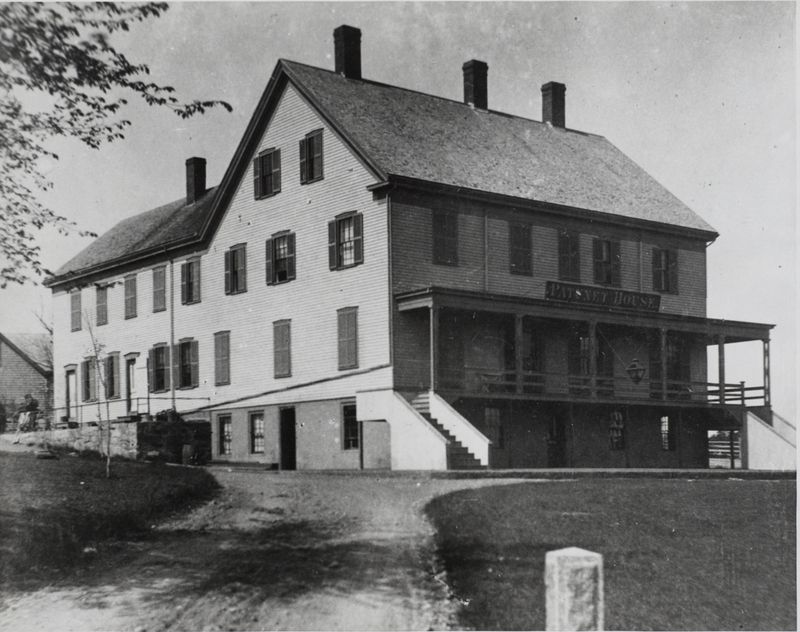 Josiah ran the hotel, known as the Patuxet House, for the next 25 years, until another of his creditors, merchant Henry K. Keith (listed in the 1888 publication Twenty Thousand Rich New Englanders), took over the property, though Keith did not run the Inn himself. Sometime around 1900, the hotel’s name had changed to either the Hotel Kingston or, the better known Kingston Inn. In 1921, right in the thick of Prohibition, crime struck. The double-crossing rum runner murder happened after hotel proprietor Richard Rowland (or Roland) ordered 26 cases of illegal Scotch from a well-known bootlegger. According to the Boston Globe, “Rowland had a good market for liquor at the Kingston Inn,” which had a reputation as a sporting house with a regular dice game, but he didn’t want to pay for the booze. Rowland plotted with two local thugs to fake a robbery in the hotel garage, but the bootlegger fought back and his driver, Edward Cardinal aka Eddie Gardner, was gunned down. The bootlegger escaped with the liquor, and Rowland, “the debonair blond gambler,” was eventually convicted of manslaughter, but his accomplices were never caught. For reasons unknown, the raffle never happened. 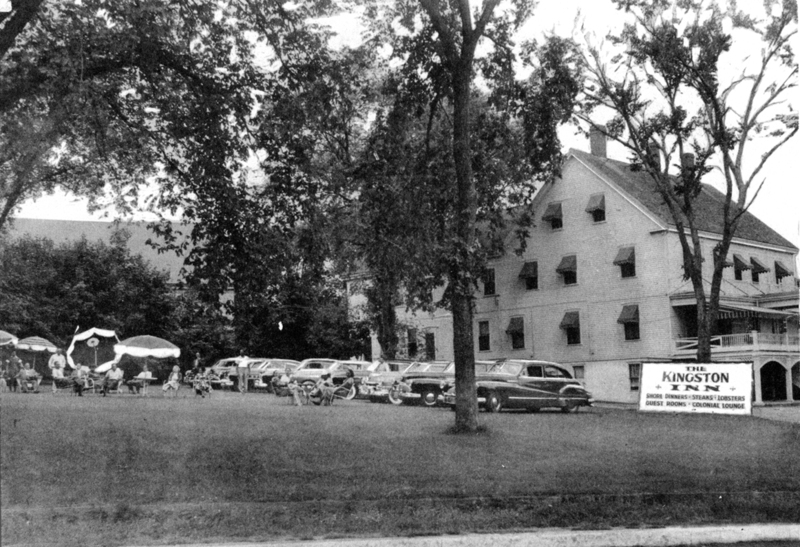 The Inn sat empty and changed hands a few times until 1953, when Coley and Lillian Mae Hayes bought the property. Originally from Georgia, the couple worked together as chauffeur/butler and housekeeper/cook in the 1930s and 1940s in private homes around New York City and Boston. Between 1933 and 1941, they spent summers at Twin Oaks, the Duxbury camp they owned with Lillian’s two sisters and their husbands. 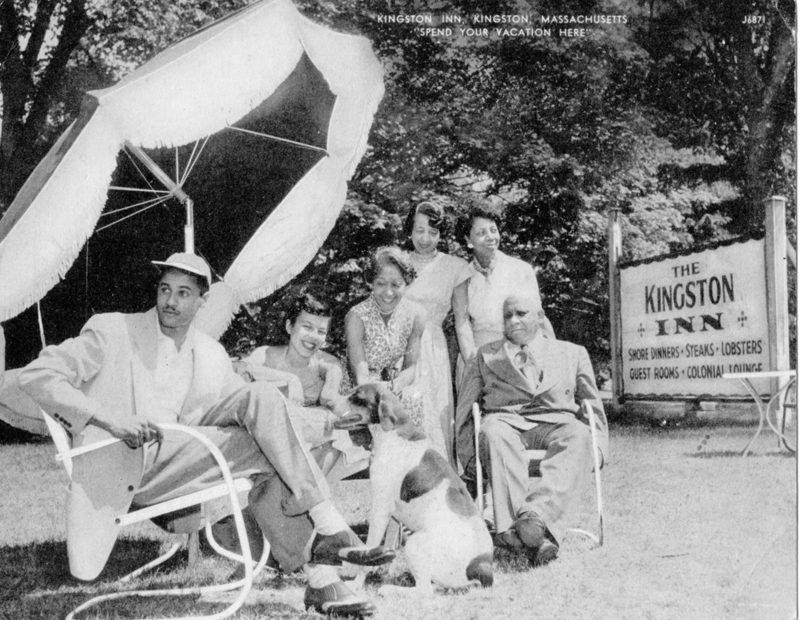 The camp was a great success among its African-American clientele, but when one of the sisters died, another took over, and the Hayes went back to private employment, until 1953 when they bought the Kingston Inn. The Hayes advertised in publications like Ebony and the Amsterdam News, and focused on African-American vacationers from Boston, New York and Philadelphia. 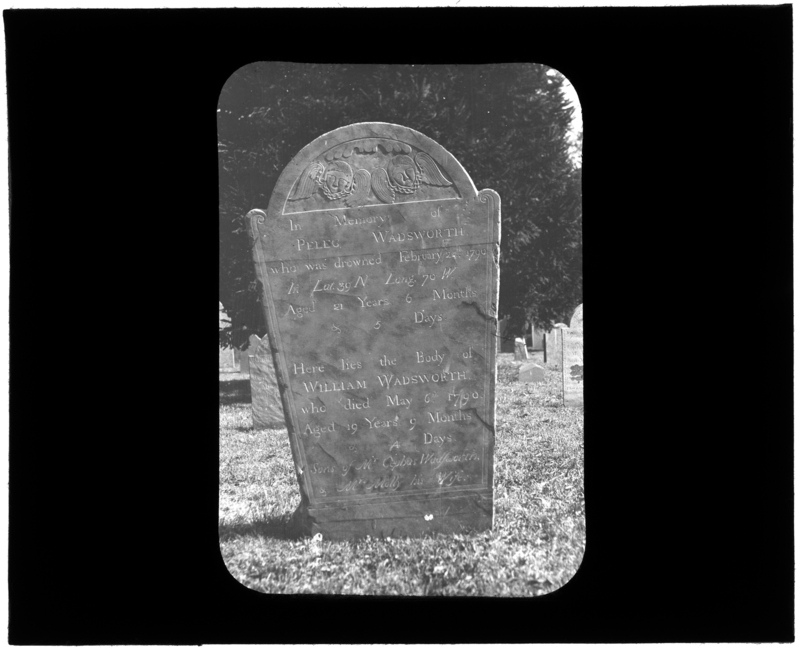 The promotional materials produced during the Hayes’s tenure emphasized the near-by sights of Plymouth, the delights of Cape Cod, and the comfortable family atmosphere at the Kingston Inn, where “you don’t have to dress for dinner.” Coley Hayes ran the Inn until his death in 1966; Lillian appears to have predeceased him, though her death date isn’t known. In 1970, Hayes’ executor sold the vacant hotel to New England Telephone, which razed the building and constructed the long-distance equipment facility, which eventually became the Kingston Public Library in 1995. Tomorrow, December 30, is the last Presidents Day here at the Library. 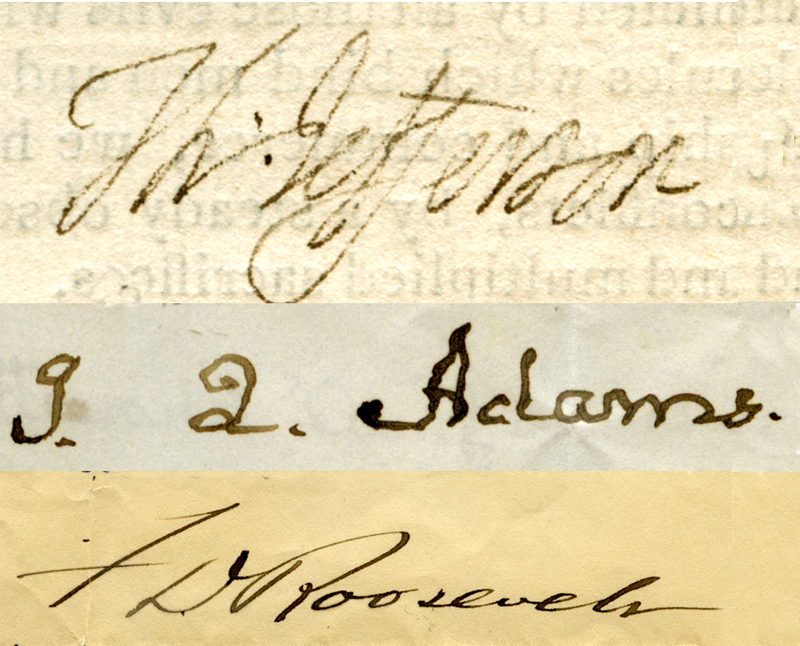 We’ve had our letters from Franklin Delano Roosevelt, John Quincy Adams and Thomas Jefferson (who apparently didn’t have a middle name) on display for a few selected day this month, but this is the last time for a while. They’ll still be here afterwards, of course, but in the dark and cool of the Local History Room, for safekeeping. Stop by and see them tomorrow. Map of the Brockton & Plymouth Street Railway, n.d.
From 1889 to 1928, trolleys ran through Kingston, every half hour or so, reaching Brockton to the west and Manomet to the east. The line was run by three companies in succession: the Plymouth & Kingston, the Brockton & Plymouth, and the Plymouth & Brockton (and if that last one seems familiar, that’s because they still run buses between Logan Airport and Provincetown). There’s not much left of the street railway, but you can stop by the Library to see photos of some of the trolleys in the exhibit case this month. Source: OC2 Vertical Files – Trolleys. “Brockton & Plymouth Street Railway” by O.R. Cummings. In Transportation Bulletin, No. 59, July-August-September 1959. Inserted between pages 2 and 3. 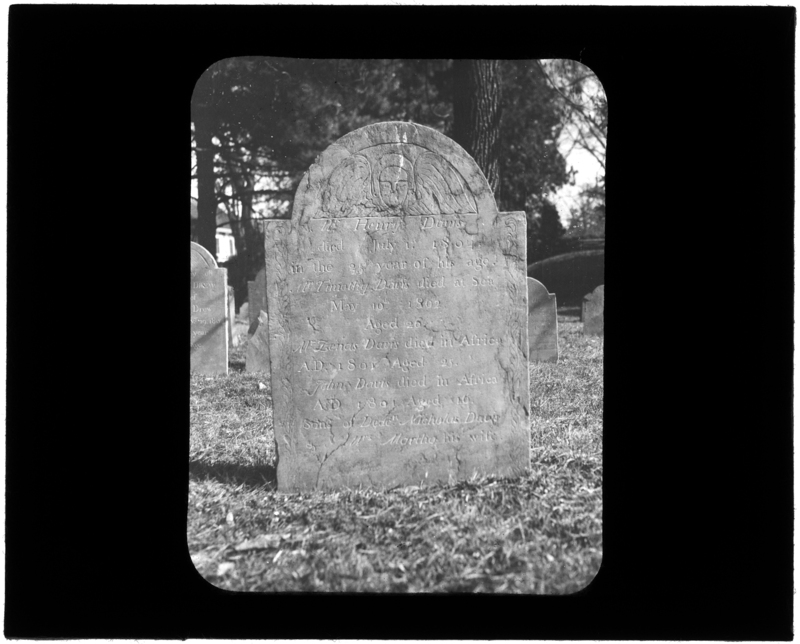 For more, visit the Kingston Public Library, and the Local History Room, and the full blog at piqueoftheweek.wordpress.com. 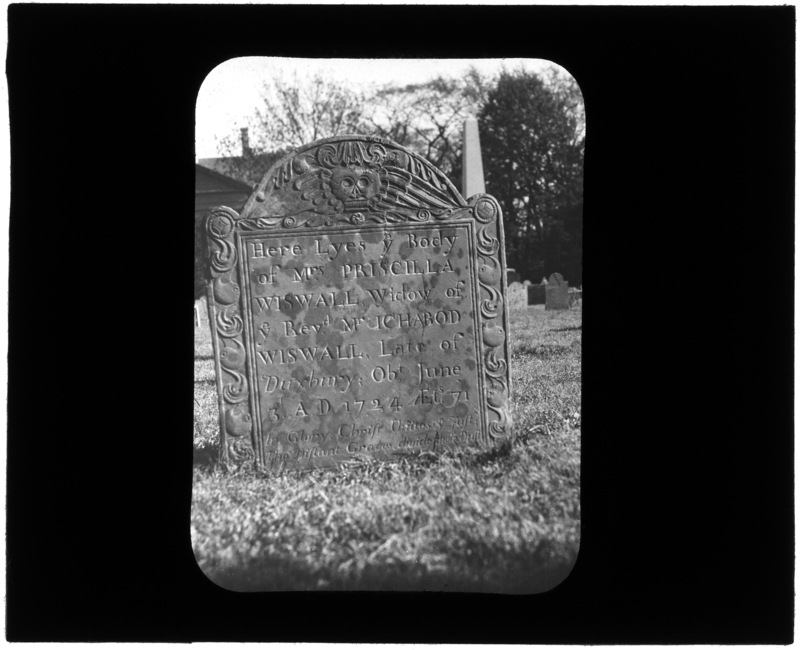 Pique of the Week is now on the Kingston Public Library website!